Are you looking for a unique home-like stay? A convenient location? A place to relax? An opportunity to get to know the traditional lifestyle and culture of Beijing, China? 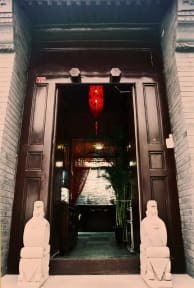 For your next trip, experience the unique lifestyle and atmosphere of old Beijing, with your stay at a traditional, modernized courtyard hostel, Kellys Courtyard. At Kellys, you are not just a traveler, but a real Beijinger. Kellys is a stylish courtyard hostel located in a traditional Hutong (alley) in the heart of Beijings Xidan District, a vibrant commercial area and the capitals financial district, nick named Chinese Wall Street. Kellys courtyard is surrounded by many of Beijings historical vistas including the Forbidden City, Tiananmen Square, BeiHai Park and Shishahai. It is within walking distance or a short ride to all of these places. Kellys Courtyard is within convenient reach of all of Beijings key travel destinations, as well the airport and railway station. Public transportation including subway, bus or taxi are all nearby and make it easy to get around the city. A classic and stylish set up with modern conveniences and comfortable rooms, Kellys Courtyard makes your stay enjoyable and comfortable. Kelly is multi-talented individual with special tastes in art, fashion, cooking and interior design. In addition to owning Kelly's Courtyard, she is a fashion designer and owner of a modeling school. Kelly and her husband are travel enthusiasts. Their travel experiences across China, Asia, Australia and Europe, provide them a good understanding of what a traveler needs. They were both born in Beijing and their families have been living here for several generations. Kelly's sense for hospitality and their professional travel guidance will make your stay in Beijing memorable, comfortable and also, help you to discover the true charm of Beijing. Our guest rooms come with private bathrooms and include a choice of a double bed or standard single beds. Each room is equipped with an air conditioner, heating system, private bathroom and 24 hour hot water.